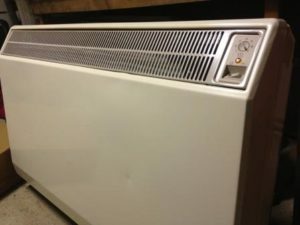 Apply for Your Storage Heater Grant from the ECO Scheme today. Do YOU Qualify for a Storage Heater Grant? If you can answer YES to all 3 of these questions......YOU DO! 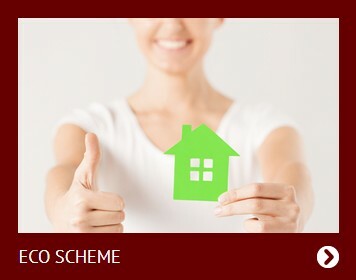 Does anyone living in your home receive one of the qualifying State Benefits, Tax Credits or Allowances? Click HERE for full details. Are the electric storage heaters installed in your home broken? Applying for a Storage Heater Grant is easy. Simply complete the online form and one of our friendly team will telephone you to confirm the information you have provided. We will explain how the Storage Heater Grant Scheme works and answer any questions you may have. We will then arrange to survey your heating system and you may need to provide proof of your benefits, tax credits or allowances to the surveyor. Your ECO Accredited surveyor will complete the paperwork for your application and present it to the ECO Funding provider who will check that you qualify. Once your Storage Heater Grant has been approved your ECO accredited installer will contact you to arrange the installation by qualified electricians. 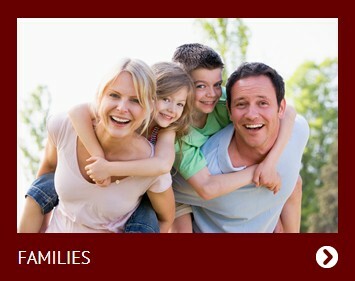 Then you can relax in a warm home knowing that your heating bills will be lower. Where does Storage Heater Grant Funding come from? Your Storage Heater Grant comes from the Government’s ECO Scheme. This provides funding for new heating systems and insulation in homes where the householder meets certain qualifying criteria. A levy, placed on everyone’s electricity bill, is collected by every large energy supplier and fed into an ECO Fund. Money from this ECO Fund is paid to ECO Accredited installation companies who carry out work under the scheme – but only once they have completed the storage heater installation and you are happy with it. Who qualifies for a Storage Heater Grant? 1. You must live in your own home. Privately rented homes, council owned properties and housing association properties are currently excluded from the Storage Heater Grant Scheme. 3. The electric storage heaters installed in your home must be broken at the time of your ECO survey. Storage Heater Grants are aimed at low income Families and Pensioners who have broken storage heaters and who cannot afford to replace them. Which areas are covered by the Storage Heater Grant Scheme? 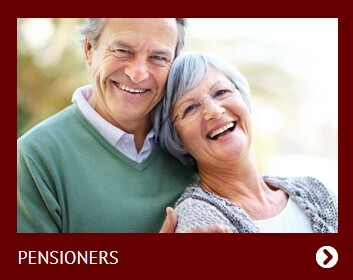 Storage Heater Grants are available in England, Scotland and Wales. Northern Ireland has a separate scheme. The map below shows which areas do not have a mains gas supply and therefore have to rely on heating systems such as electric storage heaters. The darker the area, the higher the concentration of homes with no mains gas. If householders in these areas have faulty, inefficient electric storage heaters they should apply for a Storage Heater Grant to replace them whilst funding is still available. How are Storage Heater Grants calculated? Essentially, the greater the potential saving in energy you use by having more efficient storage heaters installed, the greater your storage heater grant. This means that large houses with quite a few bedrooms and poor insulation will be awarded the highest grants. Typically, flats, maisonettes and mid terraced houses will receive the lowest storage heater grants. Consequently, householders in these properties will almost always be asked to contribute to the cost of their new storage heaters. Will I have to contribute to the cost of new storage heaters? Some householders will receive Free Storage Heaters under the ECO Scheme. However, if your storage heater grant is insufficient to pay for the installation of the number and size of storage heaters recommended by the ECO Scheme’s rules, you may be asked to make a contribution. You will not know the amount of any contribution until after your free survey and if you don’t want to pay, your application will be cancelled and the process will cost you nothing. New high heat retention storage heaters are up to 30% more energy efficient than traditional electric storage heaters and you should notice the saving on your electricity bills. Are ECO Grants available for other types of heating and insulation? 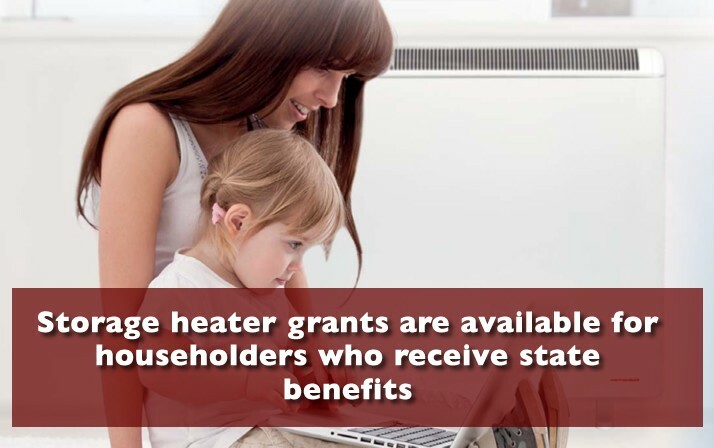 What type of storage heaters are installed with the Storage Heater Grant Scheme? Only the most energy efficient, high heat retention electric storage heaters can be installed with ECO funding from the Storage Heater Grant Scheme. These are up to 30% more energy efficient than traditional storage heaters. The main types installed are the Dimplex Quantum range and the Elnur Ecombi. Will there be any disruption to my home? To qualify for a Storage Heater Grant you must already have electric storage heaters installed in your home and usually an Economy 7 electrical supply. Your new storage heaters would normally be installed in the same positions as the old ones so there should be little disruption. However, modern electric storage heaters have a convection heat facility which may require an additional electricity supply to the new heaters. This may cause a little disruption to your decor and although any damage to plaster work will be repaired, your Storage Heater Grant does not pay for re-decoration. Why apply for a Storage Heater Grant? The two main aims of the Government’s ECO Scheme are to make heating affordable for all householders in the UK and to reduce carbon emissions. Modern energy efficient electric storage heaters will reduce your heating bills and make your home more comfortable. Modern storage heaters can cost over £1,000 each to supply and install but a Storage Heater Grant from the ECO Scheme can fund up to 100% of this. How do modern storage heaters compare to my old ones? Electric storage heaters are domestic heaters which store thermal energy and release it to heat your home when you need it. They are especially designed to convert cheap night time, off-peak electricity into thermal energy, store it, and then release it continuously throughout the day. This is why they are sometimes referred to as night storage heaters. Modern high heat retention electric storage heaters are much more energy efficient than their predecessors. They have better insulation to preserve the stored heat longer and a convection facility to top up the heat required for very cold days. They have LCD displays which allow you to see heat input & output levels and intelligent control systems which learn your heating requirements. The price of electricity supplied to our homes is much less when demand for it is lower, typically during the night time. Electric storage heaters use this cheap night time electricity to store heat and then release it to warm your home during the day time when electricity is more expensive. Energy suppliers have introduced electricity tariffs such as Economy 7 which require a special meter to track day and night use of electricity, so that it can be charged at a different rate per kilowatt hour (kWh). Old storage heaters contained very heavy, heat retaining clay bricks but modern, more energy efficient versions use a ceramic material or high density magnetite to store heat. Offering the highest density and heat storage capacity, magnetite is extremely efficient at storing thermal energy but it also relies on excellent insulation to retain the heat. Apply for Your Storage Heater Grant Today. 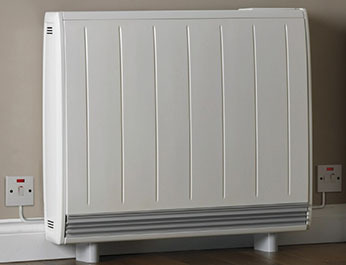 Storage heaters are individual heaters which do not rely on a main boiler or expensive pipework and plumbing. 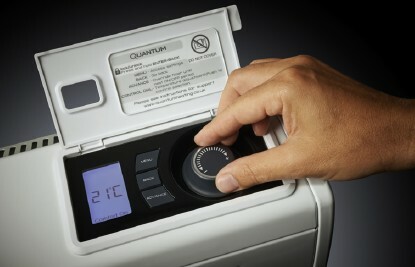 Consequently storage heaters are cheaper to install than gas or oil central heating systems. Electric storage heaters can be installed in almost any home with an electricity supply and are an ideal heating solution when renovating an old property without a gas supply. Storage heaters are very reliable, last a long time and compared to gas central heating systems require virtually no servicing or maintenance. Additional storage heaters can be installed quite easily if you decide to build an extension to your home and it is relatively easy to replace individual storage heaters with newer, more energy efficient versions. Electric storage heaters are more expensive to run than central heating systems because even cheaper night time electricity costs more than gas. Storage heaters can only release heat which was stored during the previous night so if it was switched off or heat storage levels are set too low, there will be insufficient heat to use the following day. Although modern storage heaters are more controllable than older versions, they do not offer the same flexibility as gas central heating systems in providing instant heat. By their very nature storage heaters only heat your home; you will need a separate system to provide hot water. This map shows which areas are least likely to have mains gas. 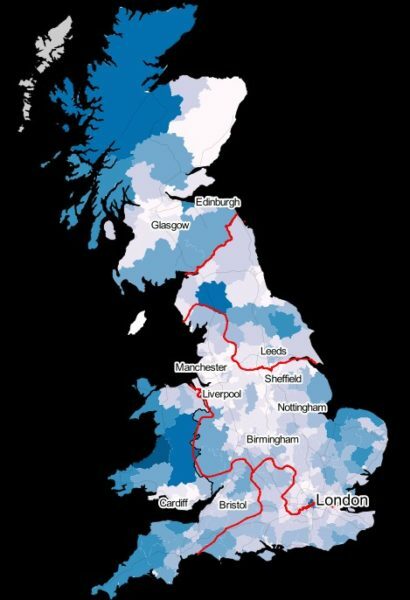 The darker the area, the higher the percentage of homes which do not have access to mains gas. This means that householders in these areas are most likely rely on electric storage heaters to heat their homes. If you have faulty electric storage heaters and receive State Benefits you may qualify for a Storage Heater Grant to help replace them. If you think that you may qualify for a Storage Heater Grant, apply today whilst ECO Funding is still available. We cover ALL mainland areas of England, Scotland and Wales, plus Anglesey, for Storage Heater Grants.